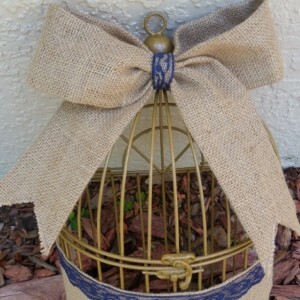 This beautiful birdcage cardholder is a great addition to your wedding, bridal shower or baby shower. 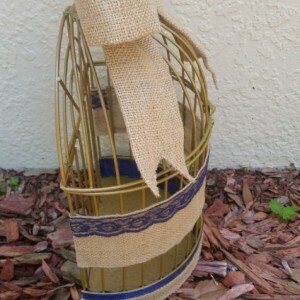 This will go great with your rustic, shabby chic, vintage or country theme. 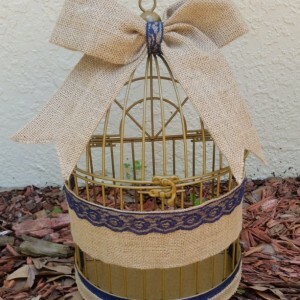 The cage is painted gold. 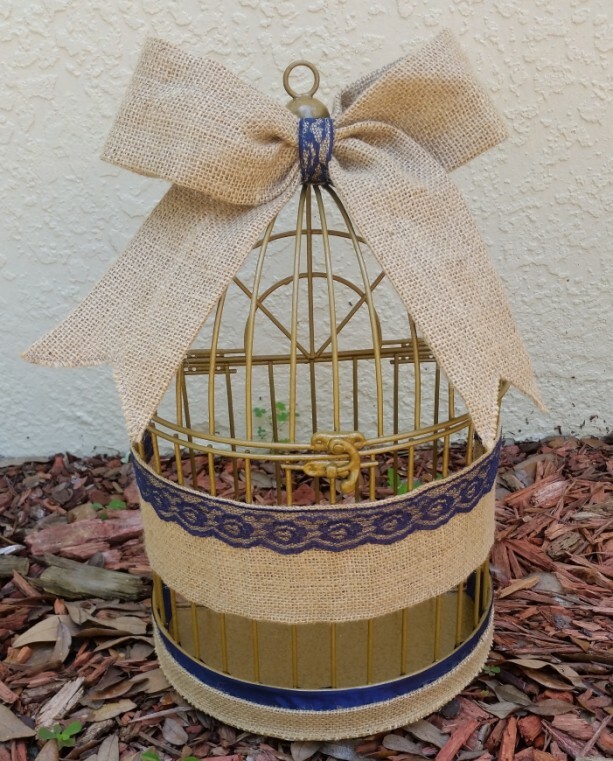 Accented with Navy Blue satin and Natural color burlap on the bottom of the cage, Natural color burlap with a Navy Blue lace trim for the middle portion of the cage and a nice Natural color burlap bow with a Navy Blue lace that adorns the middle of the bow. 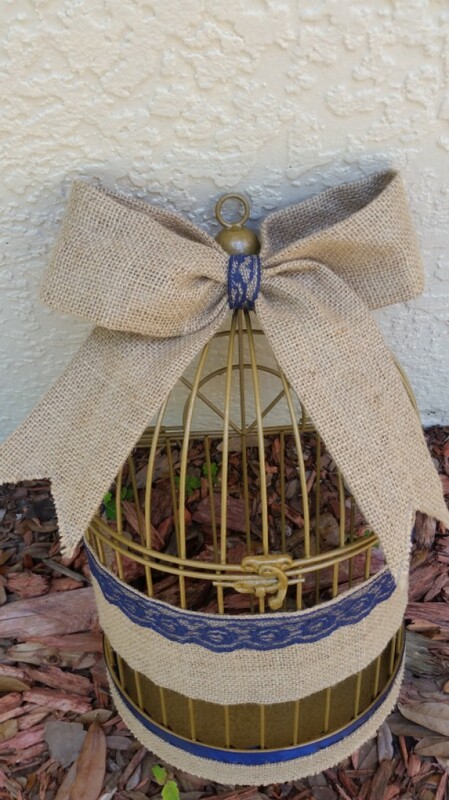 The burlap has been sewed to insure it keeps its beautiful trim. 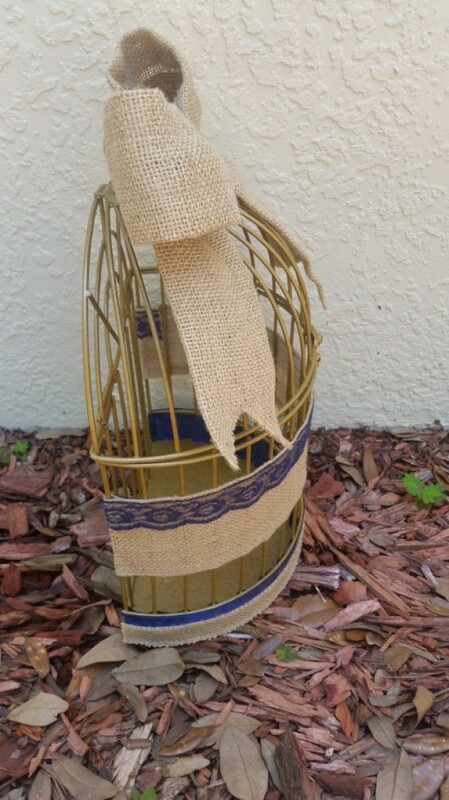 Birdcage measure 14.5 inches tall, 9 inches long and 12 inches deep.